Want to feature or pin a post? Read this. I have a review for you today from My Memories Suite. Although I have not been compensated to write this post, I did receive a free copy of the My Memories Suite software for the review. All opinions are 100% mine. Do you know what today is? You do? Oh, you read the blog title. I'll give you that, I did put it there. 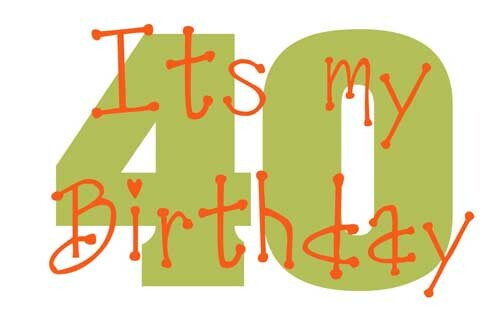 Today I turn 40. My hair is turning gray and I'm getting a few wrinkles, but I have decided to embrace this new stage in my life. My children are young and I want to keep up with them. In fact, I went with my oldest daughter on her field trip just this past Friday. 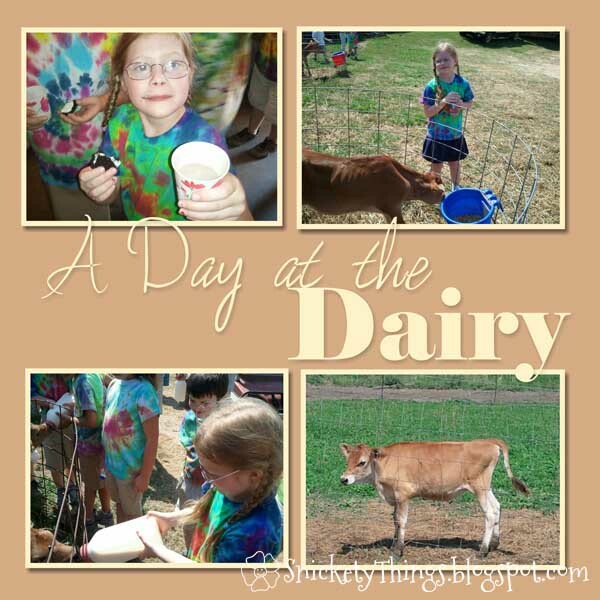 We went to a dairy farm and learned all about how milk comes from cows and gets to a store. We had fun feeding a week old calf and trying fresh milk. Please do not pin this photo. We also live by a small pond that is stocked with fish. We love going out on the island in the middle and throwing bread out into the water. My girls love doing this. Those two scrapbook pages took me less than an hour to make with my new digital scrapbooking software. I want to introduce you to My Memories Suite. I think they would have taken even less time if I had not just opened the My Memories Suite software and started using it for the very first time. In fact, that Dairy page took the most time. I was playing with all the different options the software came with. I pretty much made that page on my own without using the supplied templates. The fish page was so easy to make. I selected a template then just popped my pictures right in. I didn't have to do much at all with the pictures. It took more time trying to find the fonts I wanted to use. I also just used one of their background papers included with the software in that picture although you can use any background you have. I used to make digital scrapbook pages all the time to document our lives. Each page took me a long time to make and it became very time consuming. 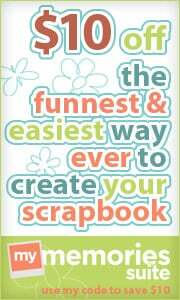 This scrapbooking software is so easy that I can make an entire book that would be ready for printing in just a few hours. What if you don't want to make digital scrapbook pages? You aren't limited to just those. In fact, I made the birthday word art at the beginning of the post with it. I haven't even started to discover all the things possible. And the best thing? This software isn't pricey at all. In fact, you can save $10 when you buy the software by cutting and pasting the following code in when you order. It really is that easy to start. Want something even better? Share the Memories is offering one of my readers their very own copy of the My Memories Suite for free! Think of it as a birthday gift for you. Just register using the Raffelcopter form below. If you are not reading this on the blog, yo may have to click through to get to the form. 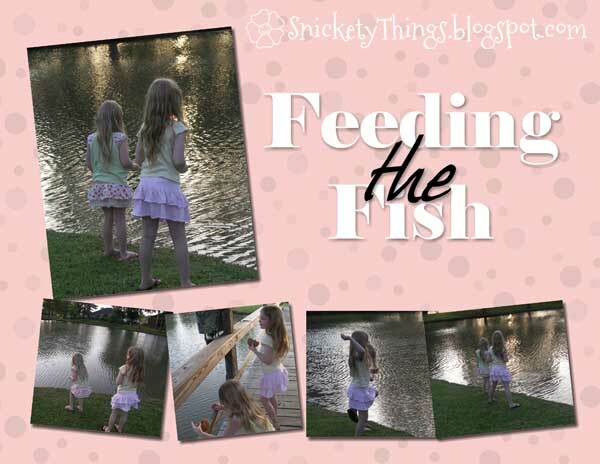 Please check out my Link Parties page to see the blogs where I may have showcased this post. Thank you to the bloggers who host such wonderful parties. This post contains affiliate links to My Memories Suite. Happy Birthday! I hope you have beautiful weather. Happy 40th Birthday Renonda! I hope that your day is amazing! I popped over to the website...oh my goodness, there are so many great things there. So many ideas! I am far far behind on both of my sons' scrapbooks. This would totally help me out! I really like the color burst and lil' cupcake kits! Happy Birthday! I love the the idea of digital scrap booking...No mess to clean up! Thank you for leaving a comment! I enjoy reading all of them. Right now I have comments moderated. If you don't see your comment right away, that may be why. I try to respond to each comment. If you need a long answer, make sure you are not a no reply commenter and I will send you an email. View our Disclosure and Web Site Agreement. Copyright 2012-2013 Snickety Things. Picture Window theme. Powered by Blogger.